No written correspondence may be sent to the Court without permission. Written correspondence sent by letter, fax or any other means, without permission will not be read and discarded. 1. Counsel may call the Part Clerk with respect to scheduling of appearances and with respect to adjournment applications. 2. Counsel may call Chambers and/or the Part Clerk to arrange for telephone conference with the Court or with the Law Clerk. 3. Counsel may not contact Chambers without all opposing counsel on the phone, except for purposes of facilitating a conference call. Every pleading, written motion and other paper served or filed in an action must be signed by an attorney pursuant to S130-1.1a of the Rules of the Chief Administrator of the Courts. Motions are returnable on FRIDAYS, except by order of this court. Permission is NOT required to make a motion. Counsel should strive for brevity in the making of all motions and all the opposition thereto. Appearances are not required. Oral argument may be requested by noting "Oral Argument Requested" immediately over the index number on the Notice of Motion, but counsel should proceed under the assumption that there will be no appearance. If this Court, in it's discretion, requires such argument, the movant's attorney will be so advised and will be required to notify all parties. Sur-replies will not be considered, unless this Court otherwise directs. Other papers, including letters sent after the submission of the motion, will not be considered. a. On Consent-- The Clerk of this Part is to be advised by telephone, followed by a letter, that the motion is adjourned on consent. No more than two adjourments on consent will be allowed, unless so granted by the Court. b. Opposed-- The application must be made on or before the return date of the motion. The requesting party must advise all other parties of the application. No appearances are required unless directed by the Court. Prior to the commencement of a trial, counsel shall provide the court with marked pleadings. Requests to charge shall be submitted to this Court at a conference immediately preceeding trial. The charge will be drawn from the pattern Jury Instructions. (PJI). A complete list of requested charges is to be submitted. Unless counsel seeks a deviation from the pattern charge or additions to the pattern charge, only the PJI numbers and topic need to be submitted. Where deviations are sought, the complete text of the requests must be submitted together with the legal precedents. Counsel shall jointly prepare a verdict sheet. The verdict sheet is to be typed and in final form for presentation to the jury. If agreement cannot be reached, then each side shall present a proposed verdict sheet. Such proposal shall also be submitted on a CD-ROM or USB flash drive in format convertible to Word Perfect 8.0. Counsel who appear must be fully familiar with the case and have the authority to enter into an agreement, either substantive or procedural, on behalf of their clients. Counsel shall be on time for all scheduled appearances. Faxes to chambers are permitted only if copies are simultaneously faxed or delivered to all counsel. If an action is settled, discontinued, or otherwise disposed, counsel shall immediately inform the court by submission of a copy of the stipulation or other document evidencing the disposition. Specific questions relating to procedures should be addressed to the Civil Calendar Office - 914-824-5300. 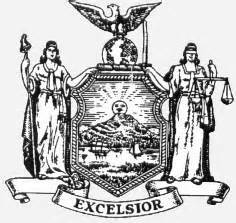 All documents in mandatory e-filed cases, except documents subject to the Opt-Out provision of Section 202.5-bb of the Uniform Rules for the New York State Trial Courts, or documents subject to e-filing in which consent is being withheld, are to be filed through the New York State Courts E-Filing System. (NYSCEF). All submissions to the court, including proposed orders, proposed judgments, and letters, must be electronically filed. It is necessary to provide working copies when E-Filing. Hard copy submissions in e-filed cases will be rejected unless they bear the Notice of Hard Copy Submission --E-Filed case required by Uniform Rule S202.5 (d) (1). The form is available at www.nycourts.gov/efile. All questions about scheduling, appearances, or adjournments shall be addressed to the Part Clerk, Sally Raniolo at 914-824-5781. You may also contact the Westchester County Clerk's Legal Division at (914) 995-3071. The staff is very knowledgeable in Westchester County procedure, as well as information needed about the NYSCEF website. You may also send an email to E-file@westchestergov.com . If you encounter a technical issue, such as error messages or questions about your account, please contact the E-filing Resource Center at (646) 386-3033 for further assistance.